Again what ebay and paypal does is criminal and not civil. Everytime ebay/paypal steals from u report it to the FBI its a cyber crime and the FBI handles it. 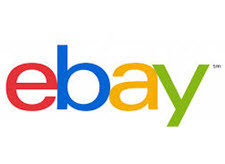 DO NOT TELL EBAY/PAYPAL UR GOING TO REPORT - the y will delete your sellers page. If u report them to the USDOJ or your state DOJ being the sewer trash ebay is they will lie through their tooth. One day a bad day for Devil and Pierre is the FBI waiting for them as they get to work. Paypal allows customers to steal from u and this again is criminal. Ebay and Papal r sewer scum. The workers there r scum as well.